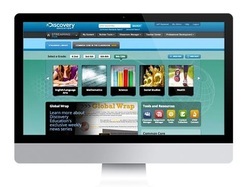 Discovery - 21centuryed Tech: Digital Teacher... Welcome To The Future! New Common Core destination provides curriculum, instruction, and assessment resources for 21st century skills. Inspire students' curiosity with exclusive, award-winning content from Discovery Networks and renowned educational producers. Transforming classrooms, empowering teachers and captivating students by leading the way in providing high quality, dynamic, digital content to school districts large and small, rural and suburban and everything in between. This service captures the minds and imaginations of students with the fascination of Discovery, tapping into students' natural curiosity and desire to learn. With award- winning digital content, interactive lessons, real time assessment, virtual experiences with some of Discovery's greatest talent, classroom contests & challenges, professional development and more - Discovery is leading the way in transforming classrooms and inspiring learning. Along with paid subscription resources, Discovery Education offers a broad range of free classroom resources that complement and extend learning beyond the bell. This is a premium subscription service paid for by many districts. Make sure you have your district log in and password. A collection of rich multimedia assets proven to increase achievement. Instructional videos, skill builders, games, audio files, images, writing prompts, and encyclopedia reference materials support multiple learning styles. Video library features exclusive, award-winning titles from Discovery Channel, Animal Planet, Science Channel, and more. STEM Connect brings to life real-world science, technology, engineering, and math concepts, and connects students to STEM curriculum and career development. Search tools help teachers identify relevant lesson content. Assignment Builder enables teachers to build and administer assignments for individual students or groups. Writing prompts help students develop stronger writing skills. Quiz Builder allows teachers to gauge student progress and mastery of concepts, and utilize the results to identify areas of strength and address areas requiring improvement. Close captioning, audio description, and multiple language versions make content more accessible to a variety of learners. Watch the video below to learn more. You can also watch this series of short 15 video clips at the Discovery PD You Tube Channel. You will find that Discovery can be a great addition to your Digital Curriculum.